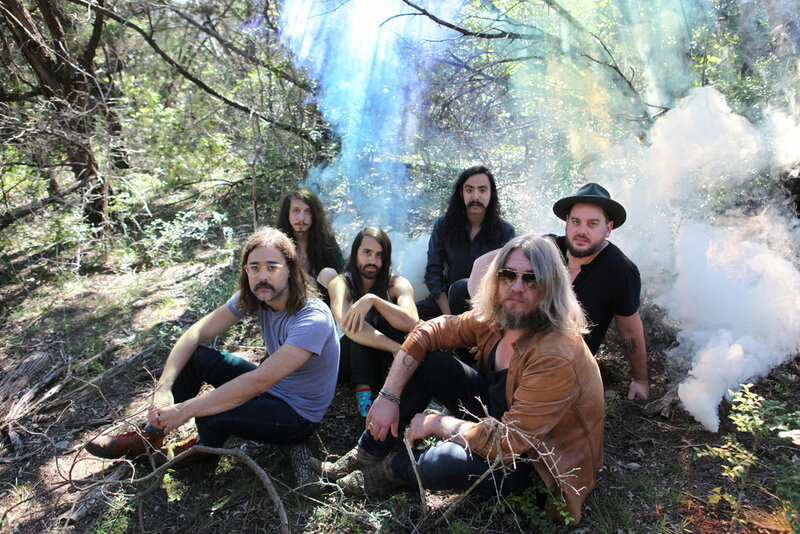 The collaboration between Israel Nash and The Bright Light Social Hour came to fruition naturally, as the two bands often crossed paths in their home-base of Austin, as neighbors and friends. Sharing similar musical and political sentiments, the artists recorded Neighbors together by hopping between Israel Nash’s studio Plum Creek Sound and TBLSH’s Escondido Sound studio over the span of a week this summer. Swapping instruments, band members and socio-political conversation, the Neighbors EP meshes the signature sonics of both Israel Nash’s soaring vocals over Eric Swanson’s sweeping, haunting pedal steel and The Bright Light Social Hour’s driving percussion, soulful vocals and deep textures to expand the musical landscapes we’ve grown to know from both bands. The Bright Light Social Hour is Jack O’Brien, Curtis Roush, Joseph Mirasole and Edward Braillif. Israel Nash is Israel Nash, Eric Swanson and Joey McClellan.